'Tis the season to be caffeinated, or something like that: Starbucks started serving beverages in its seasonal red cups on Sunday, marking the beginning of the holiday season for those who swear by the chain's signature drinks. 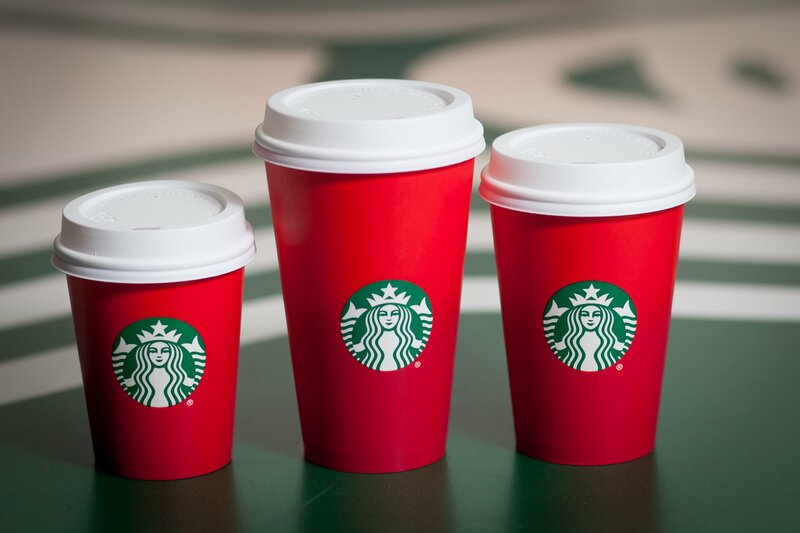 Starbucks first unveiled the red cups in 1997, and each year they undergo a redesign. This year, they feature a two-tone ombré style. "We have anchored the design with the classic Starbucks holiday red that is bright and exciting," Jeffrey Fields, Starbucks vice president of Design and Content, said in a statement. "The ombré creates a distinctive dimension, fluidity and weightedness." The red cups will hold seasonal beverages, including the Chestnut Praline Latte, Gingerbread Latte, Eggnog Latte and Peppermint Mocha. The brand also launched a social media campaign to go along with the new cups: #RedCups. Twitter users who use the hashtag will have a special emoji pop up next to it.